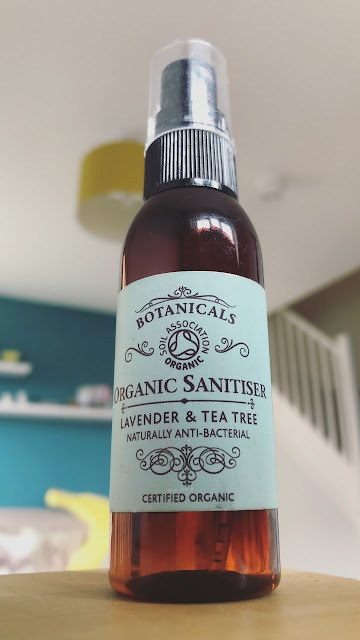 Firstly I need to apologies for falling off the radar the past couple months, I have my reasons but I'll get to these at the end of the post because the chances are you're here to find out all about Botanicals Organic Hand Sanitiser not my life! I've been using the sanitiser now for a couple of months, it's not the reason I haven't posted I promise haha! 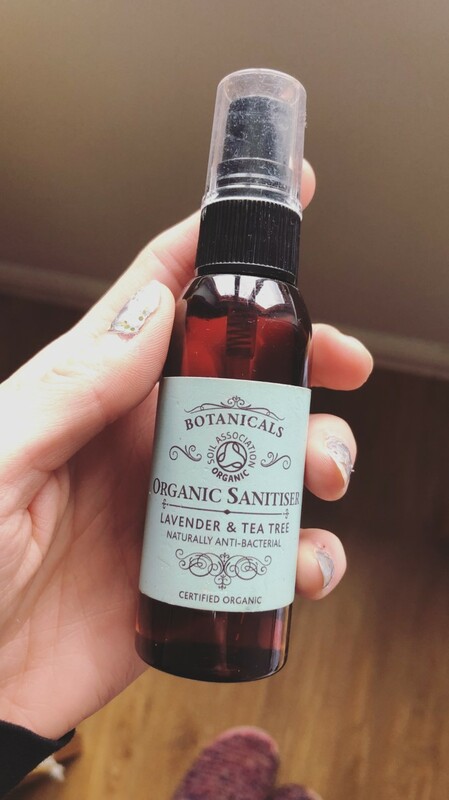 I'm going to start by saying it's my favourite Botanicals product I've tried so far which I know sounds a little odd as it's just a hand sanitiser and they do a vast number of lovely pampering body products etc but I think this stuff is the most unique... Everywhere sells body lotion and bubble bath but no where that I've seen yet sells hand sanitiser than doesn't sting cuts on your hands and smell of toilet bleach.... right? This stuff is a spritz rather than a weird gel and it smells lovely, just simply smells of lavender which is lucky for me as it's my favourite smell in the world. There isn't much else to say other than it's a great product, it's different, does what it's supposed to, it's full of natural ingredients and smells nice... simple as that and i would definitely recommend this product, in fact i already have to a number of friends who have all been fascinated when I've used it and obviously they then want some and and have all loved it. Now for the brief reason I've failed to post anything in over 6 months... So lets just say it how it is, I got dumped... I then moped around for a week and to be honest and trued to keep busy and not sit at home on the PC being lazy, not that blogging is lazy but you know what I mean... 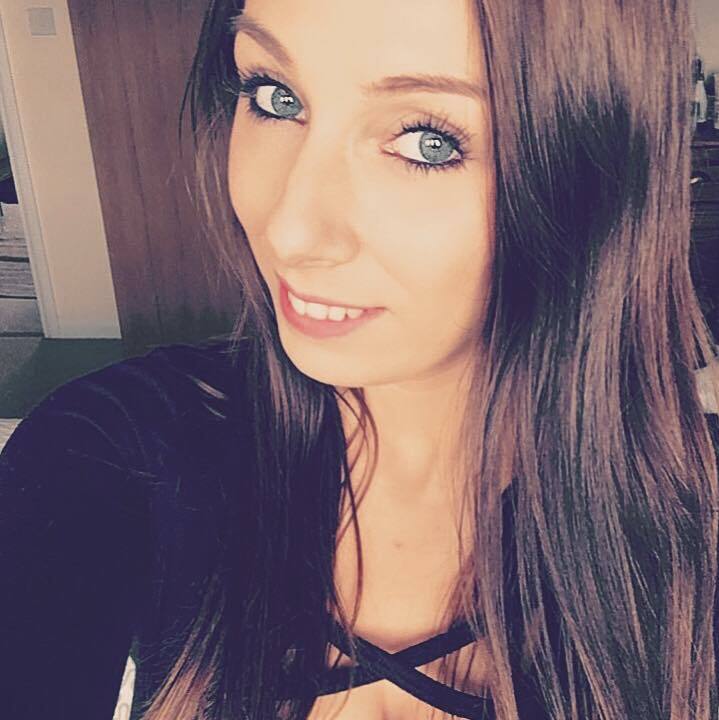 I just didn't fancy it and I don't want to post when I don't feel like it! This is a hobby not a job so I only want to do it when I want to... I'd also been training for the Bristol Half Marathon and also sorting out setting up a rabbit rescue in Bristol... I've spent a lot of time catching up with friends I'd somehow lost contact with when I was in this relationship.... I also went on a once in a lifetime trip to the US which i plan to write about soon! And now I have a new boyfriend.... we don't hang about LOL! So yeah that's it really...busy busy busy! Thanks for reading and I hope you enjoyed my "comeback" post where I've tried to be clever and post about a cleansing product and mention my life cleanse!